Should parents trust the vaccines doctors champion for their children? Jessica and David disagree on vaccinating their daughter. After Jessica reacted badly to an injection during her pregnancy, she fears the same, or worse, for her toddler. With conflicting research mystifying the true risks of aluminium adjuvants, the couple must weigh evidence and speculation to do what they think best for their child. From pregnancy to infancy, Family Shots questions whether medical scientists are giving us the whole picture. “If I set a good example now, my girls will see that it's harmless”, says David as he sits across from his doctor, who brandishes the needle his wife, Jessica, dreads. He wants to protect his daughter against measles and mumps, and thinks that if Zaria sees his injection, she will want one too. Her response is an adamant “no”. Two years earlier, during Jessica’s pregnancy with Zaria, her doctor advises getting the tetanus jab, to prevent the possibility of neonatal tetanus at birth. The day after the injection she reacts badly, with pain all over her body. “Jessica was confined to bed for weeks. She even had premature contractions and we feared we'd lose our baby”, recalls David. After the ordeal, Jessica professes the wish for herself and her children to “live naturally”, which rules out any vaccination containing aluminium as an adjuvant to help the body with immunisation. David, on the other hand, is in favour of vaccinations. That is, until his research leads him to find out the life-changing negative reactions that can occur in a minority of cases. He meets Professor Randolph Penning of the Munich Institute of Forensic Medicine, who observed unusual infant deaths in 2002 when a new six-fold vaccine was introduced. He tells David he was dismayed when he reported his findings to the Paul Ehrlich Institute, who “swept it all under the carpet”. It turns out that keeping Zaria away from other children’s illnesses and infections through her tumbles in the outdoors proves impossible. The couple’s greatest worry is tetanus, and with another toddler in the picture, they decide that some vaccinations are for the best. This personal documentary is both a fun and sincere insight into one couple’s trust of their doctors and of each other. David was born in Germany and studied film directing between 2000 and 2007 at the Deutschen Film- und Fernsehakademie Berlin. During his studies, he directed many film projects, took part in the Berlinale Talent Campus, and worked as an editor, assistant director and actor for film and television productions. His semi-documentary short film The American Embassy won three German up-and-coming awards and was invited to the 2005 edition of the Cannes Film Festival. After its premiere at the Berlinale, his first feature documentary David Wants to Fly was screened in 40 national and international film festivals and won several awards. 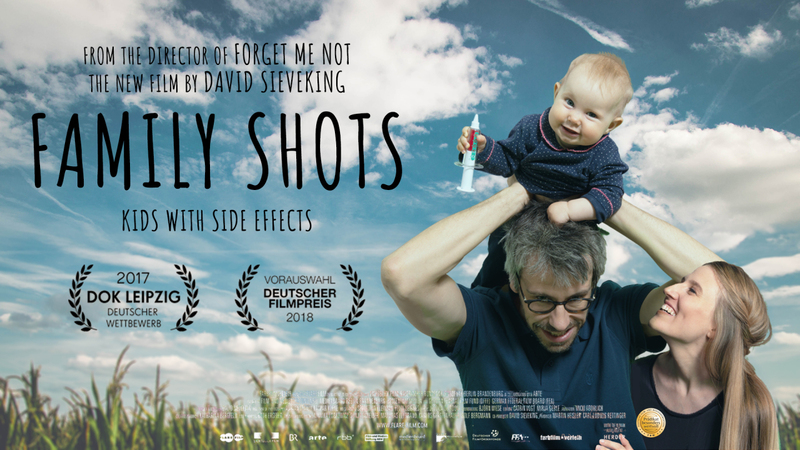 In 2013, David’s second theatrical release Forget Me Not won several awards and was the most successful documentary film in German cinemas. Martin began his film career with a management assistant apprenticeship for audiovisual media at the broadcasting company WDR and then pursued production studies at the German Film and Television Academy (DFFB). His production Autopilots, directed by Bastian Günther, won the MFG Star in 2006, and his 2013 film Houston from the same director celebrated its premiere at the Sundance Film Festival. His documentary Forget Me Not from the same year has entertained a worldwide audience of more than 150,000, and received the Hessen Film Prize, the Semaine de la Critique Prize (Locarno Film Fest) as well as a nomination for the German Film Award for Best Documentary.